Are you looking for a new addition to your backyard? A fun new activity for the kids and the entire family? Or even an improved workout method, one that has been very popular in many gyms worldwide? Of course, we are talking about the trampoline. Some of us remember the time when you had to go to an amusement park if you wanted to have fun on a trampoline. Luckily, nowadays they are far more accessible. Even to the point that you can easily get trampolines for under $200, and even under $100! However, before you head out to the nearest sporting equipment store, you might want to examine all of your options. Namely, trampoline prices vary to such a degree that it might get confusing. After all, there's not that much science behind it; it’s just a simple device for jumping up and down. Right? Well, yes and no. As with any other product, there are justified benefits from getting a more expensive model. But whether that is the best option for you is another question. And that's the very question we will aim to answer with our guide. So, without further ado, let us present you with our selection of the best trampolines in various price ranges. We'll start with the most affordable, and move towards the pricier ones. Of course, as it is meant for children, we will be taking a closer look at this model’s safety features. It offers a tubular steel frame and a quality-made mat. The latter is encircled with a padded cover, as an extra safety measure. The unit also includes a cushioned handlebar. When purchasing this product, keep in mind that it is designed for children aged 3 and older. With its 36-inch diameter, it can support up to 150 lbs. Still, its compact size provides much versatility. You can use it indoors and outdoors, as it is easy to assemble and transport. For that purpose, the manufacturer offers a free carrying bag. 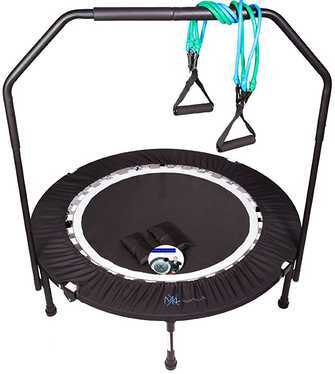 For the best rebounder in this price range, we give you the 44" Mini Foldable Rebounder Fitness Trampoline by Upper Bounce. This model offers a sturdy construction, with its steel frame and durable steel springs. Both the frame and the springs are coated with vinyl for additional feet protection. The high-quality polypropylene mesh jumping mat can support up to 200 lbs. 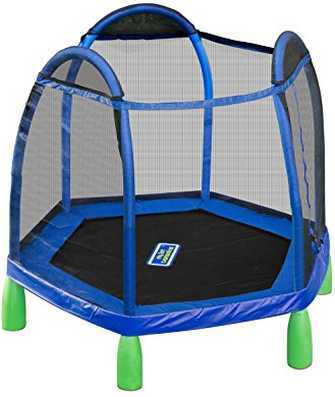 Our suggestion for a kids' trampoline in this price range: the AirZone 55-Inch Trampoline & Enclosure. It features a rugged steel construction and a soft bungee cord suspension system. That way, kids can enjoy bouncing on this trampoline and safety will not be an issue. Also, the support poles surrounding the mat are foam-protected. It is another model for kids. With the 8 ft. design and net enclosure, it can help create a great exercise or leisure activity. The durable mesh enclosure features buckles and a zipper, for added safety, along with the stable W-shaped legs. First, we will present our selected rebounder under $200. 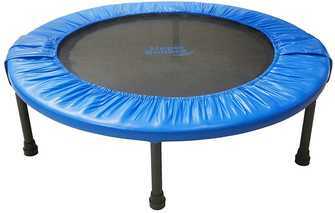 It’s the MaXimus Pro Quarter Folding Rebounder Mini Trampoline. 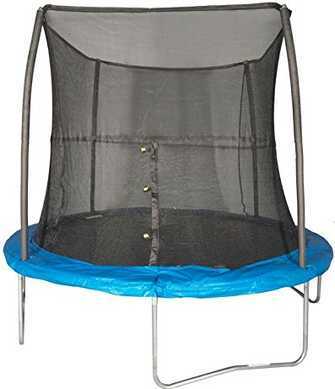 This rebounder can fold into quarters, and the package includes a carrying bag. That way you can transport it easily. Some reviewers have brought up difficulties with this process. Namely, the heavy construction makes for a reliable piece of equipment. The downside? Well, it is heavy. That is why we recommend it to users who plan on keeping it in one place, more or less. Apart from that issue, this is a model suitable both for professional athletes and everyday enthusiasts. As stated by the manufacturer, it has a weight capacity of up to 200 lbs. As our best trampoline pick in this category, check out the Giantex Trampoline With Safety Enclosure. This model features a solid construction which relies on a rust-resistant steel tube. Apart from the steel frame, the whole package contains a jumping mat, a ladder, and a safety enclosure. The jumping mat is made of high-quality polypropylene, and the trampoline also has U-shaped legs which provide additional support. In this category, we also bring you two products that you might want to check out. 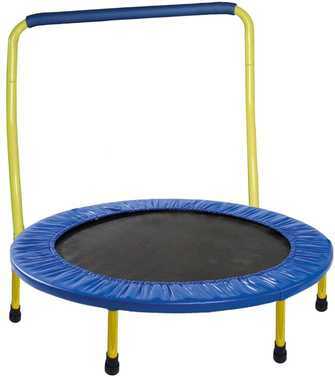 First of all, our pick - the Skywalker Trampolines 12-Feet Jump N' Dunk Trampoline. The overall construction features high-quality parts, such as the reinforced T-sockets. Same goes for the steel springs. This model also includes an enclosure - a net with a zipper system, resting upon a series of poles. Along with the 6 legs which carry the entire construction, they give it extra stability. Also, the poles are coated with foam as a precautionary safety measure. 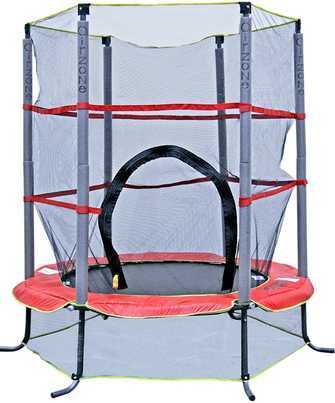 Our runner-up in the under $300 category is the Giantex Trampoline Combo Bounce Jump. 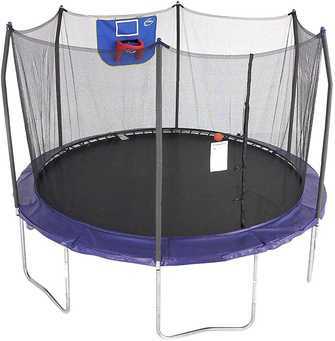 It features a sturdy stitched PP jumping mat, solid steel frame construction, and an enclosure net as a safety measure. This trampoline has a 375 lbs weight capacity, and unlike many similar products, it also includes a ladder. 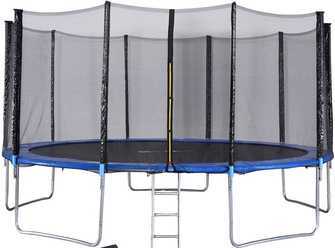 Going further up the price ladder, we give you the Zupapa 15 14 12 FT TUV Approved Trampoline with Enclosure net. 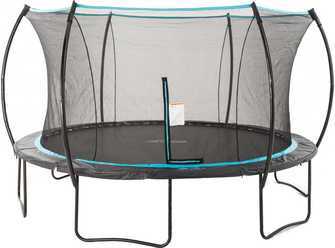 If your trampoline budget is slightly higher, this is a model you should definitely check out. It combines some of the features we have previously discussed in a highly impressive overall package. Finally, TUV, an independent German organization examining product safety, has approved this unit, which is a major pro. 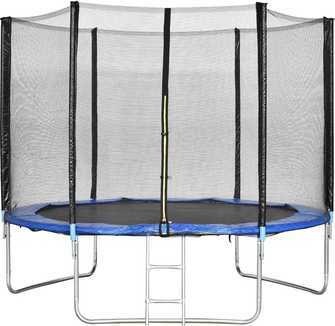 Our pick in this price range is the SkyBound Cirrus 14 ft Trampoline with Full Enclosure Net System. As for the assembly, for a unit of this size and characteristics, it's a quick and relatively easy process. 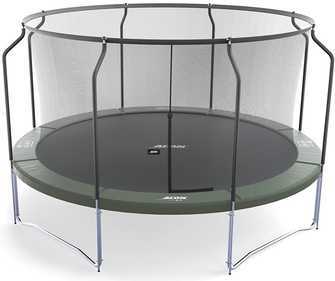 Finally, the most expensive model on our list - the ACON Air 4.6 Trampoline 15' with Premium Enclosure. The 15 ft. diameter 6-times cross-sewn jumping surface is well-suited to accommodate several people - adults and children - at once. Thereby, the premium enclosure is compact and provides all the safety you will need. 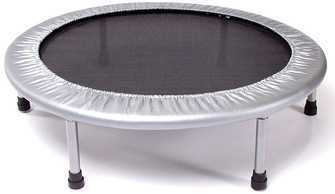 Trampolines and the exercise techniques they enable are a widespread phenomenon. We use them in our backyards, homes, and in gyms. They are a valuable exercise tool, not only for families with children but for professional athletes too. Physical benefits of using them in your workout routine are manifold. It improves one's core strength, balance, endurance, etc. Not to mention the overall health benefits. In this article, we started with cheaper models, and then covered the middle ground, namely trampolines under $100 and $200, all the way up to the more expensive models. We tried to bring a varied and balanced overview of different types of trampolines across various price ranges. 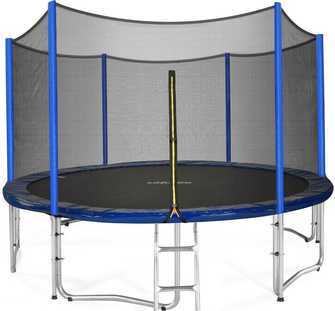 We hope that you will be able to find the right trampoline for you among our picks. Happy bouncing!